I have years of experience in Chinese and overseas education consulting. These range from language training courses, international studies to masters opportunities. 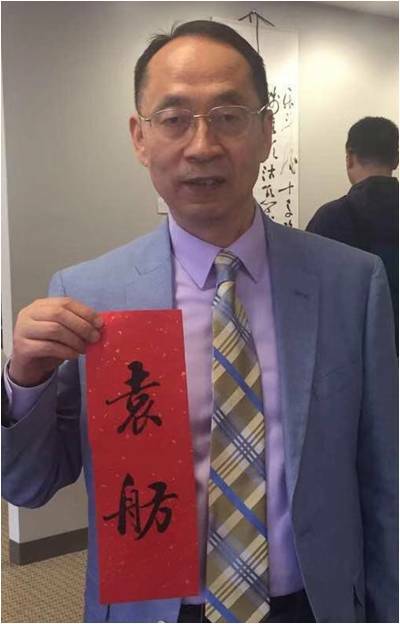 I have worked in exchange programs such as Sino-American Youth Ambassadors (SAYA) to increase cultural awareness to Chinese and American communities. I have also cooperated with many students during Robotics and Drone camp at University of California (UCLA) and corporates at Boeing. Additionally, I have designed some programs called "Building Future Global Leaders" together with the World Bank, International Monetary Fund (IMF), West Point and United Nations in order to promote global leadership development. I am currently based in the New York office providing consulting and guidance for a multitude of Ambright Education Group programs including Ambassador Year in China (AYC). Advice for incoming Educational Ambassadors? "Ambassador Year in China will give you strength, confidence and a sense of curiosity. You will have a wonderful opportunity to expose yourselves to one of the world's oldest cultures such as Chinese literature, music, martial arts, cuisine, folk customs, religion and more. Surely it will be an amazing experience in your life!" I have been engaging in international cultural and education exchange program for more than 14 years. I have seen so many Chinese and foreign youth broaden their minds and gained global experience by immersing themselves into a complete new culture as well as making friends worldwide. The AYC program not only provides such opportunities but also offers mutual benefit to both EAs and local students through teaching, learning and living. I first came to China as a study abroad student in Beijing. After receiving my B.A. degree for majoring in both Chinese and Theatre, I returned to China to pursue a post graduate opportunity at the Johns Hopkins-Nanjing University Center. From there, I decided to stay in China to explore opportunities in the international education world, where I eventually found a position at Ambright Education Group as a foreign recruitment officer. I love checking out a live performance when I can and being loud. I studied my masters in ICN Business School and have been working in international education in China for six years. I have also worked with American universities to build education exchange programs. I am a very outdoorsy person, I like hiking, traveling and dancing. "Always keep an open mind. Focus on your experience as it unfolds, not on how you think it should or shouldn't be. Through the ups and downs of this extraordinary life experience, you will come out a better and more capable individual than you ever thought was possible." I have served in academic roles with ten East Asian universities, offering courses on an array of subjects including Western Thought, English Literature, and approaches to teaching language and culture. While based in China - in Chengdu, at the foot of Mount Tai, and in other fascinating locations - I used spare time to explore holy mountains, cultural diversity, and other aspects of culture that awakened my curiosity and sense of wonder. “Pack warm clothes if you intend to watch the sunrise on the summit of a holy mountain or admire ice sculptures in Harbin in February. But seriously... start learning Mandarin before you arrive - and make the most of the opportunity to learn on the programme. This will allow you to chat and banter with extraordinary people from all walks of life, and could come in handy later in life. Also take time to develop cultural interests (e.g. reading Chinese literature) and find inspiration - while perhaps giving inspiration to your students." My name is Fanyi Zeng. You can call me Fancy. I graduated from University of Houston in 2015 and worked as an auditor at a Houston-based CPA firm for nearly three years. Living in a foreign country might be difficult for just a while; it is something one should try at least once in life. "Constantly and consistently stay positive and talk with people around you. You will amaze yourself and find that you can handle more than you expect. We are always here if you need someone to talk to!" I am Jasmin Hu, and I have been working in Ambassador Year in China for almost 4 years. As an RPL, I serve EAs and host schools in Wenzhou, Jinhua and Taizhou in the Zhejiang Province. Looking forward to an amazing time together with you in China! My full name is Amy Yifei Zhang and my Chinese name is 章亦飞. I am an American born Chinese from Providence, Rhode Island and I graduated from Brandeis University with a triple major in Health Sciences, Global Studies, and East Asian Studies. I am in charge of the media coordination within the Shanghai AYC department so I can often be found editing our website, social media pages, newsletters, and video/photo projects. During my free time, I love to watch movies, bingewatch TV shows, play ping pong and swim!